Election is at our doorstep. As we approach the election date, we see parties and politicians lining up before voters with promises. There are few of them who go ahead and offer money, liquor, clothes and what not, just to garner votes. This is not even unethical as it is not permitted by the Election Commission. 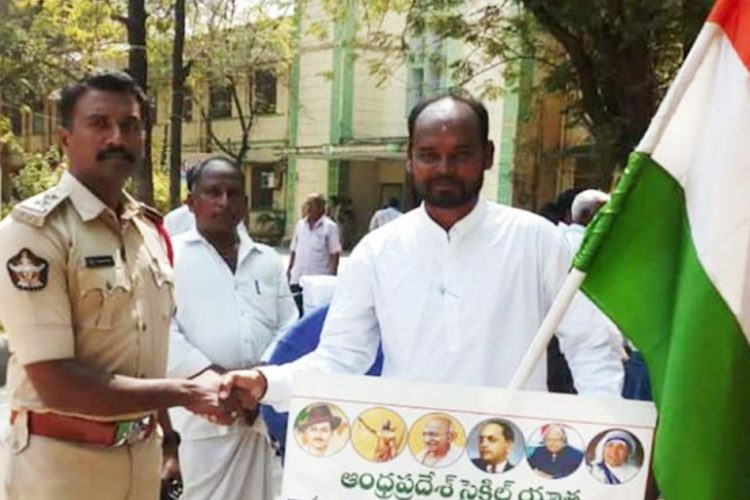 A 36-year-old man, realising that bribing voters is more common than one would like to believe, Chintakayala Srinu from Andhra Pradesh embarked upon a journey across the state on his cycle. Through this, Srinu aimed at spreading awareness against selling votes. Srinu undertook this unique journey from February 7. The ‘Andhra Pradesh cycle yatra’ concluded after 40 days on March 18. Travelling on his humble cycle, Srinu has covered 2,450 km across 13 districts. He carries a small tent, a suitcase of clothes, a microphone and a speaker on his bicycle. Every major town or city he visited, Srinu has made it a point to give speeches. Interestingly, he told The Hindu that most of the people he has interacted with were against accepting money for a vote. “People are afraid to refuse money given by a leader. 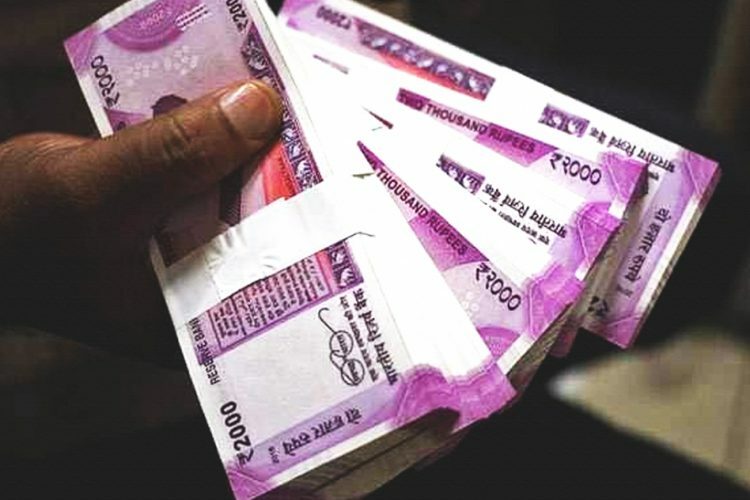 If they refuse the money, the leader immediately thinks that the person is going to vote for the rival party and may target him or her later,” he said. Srinu, a tile and stone designer, earns Rs 600 per day as a labourer. His family comprises his wife and two children, a boy and a girl studying in fourth and third class respectively. During his ‘yatra’, he met district collectors and revenue officers along with common people. “If the Collector is not available, then I speak to the Joint Collector,” he further said. This is not the first time Srinu has taken up initiatives like this. 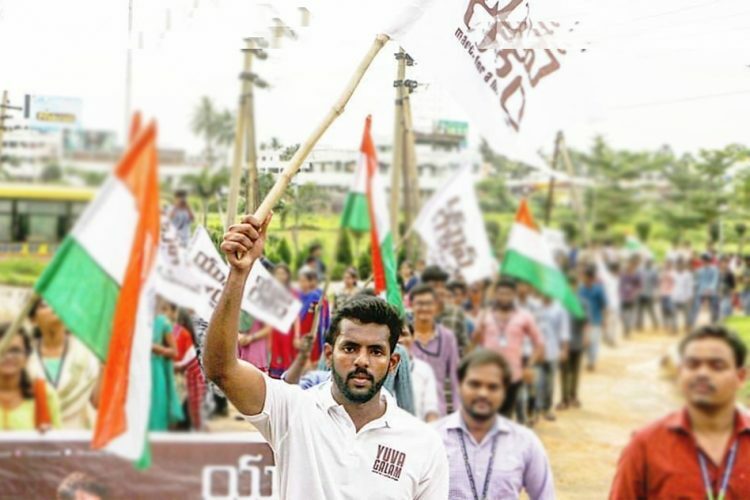 In May 2018, he walked from Visakhapatnam to Amaravati. He undertook this walk over the course of 21 days. He did that to spread awareness on health and education. Calling health and education one of his priorities, he said that these two sectors have seen deterioration. He even said that he was approached by many politicians asking him to join their party, however, he refused even meeting them. “I speak only with the people,” he said. When asked whether he misses his family when undertaking walks like these, he said that 11 months in the year are for his family and one is dedicated to the country. 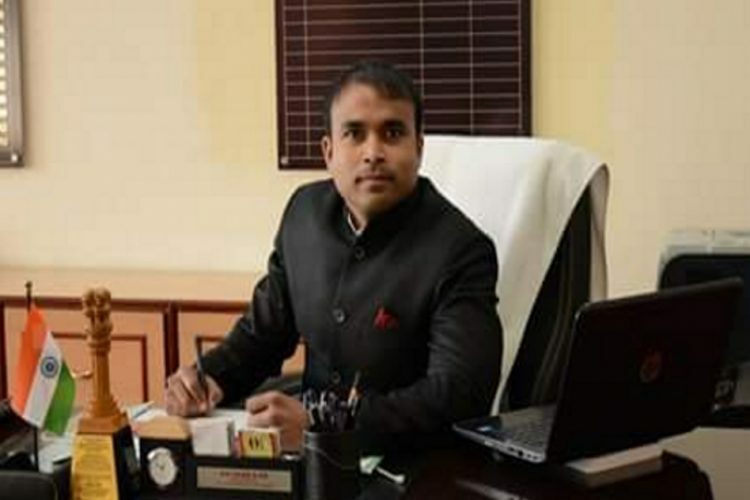 The Logical Indian appreciates Srinu for taking upon himself to talk and spread awareness about a topic which is of prime importance, especially as the country looks forward to the 2019 elections.